Pyongyang, June 13 (KCNA) -- Kim Jong Un, chairman of the Workers' Party of Korea, chairman of the State Affairs Commission of the Democratic People's Republic of Korea and supreme commander of the Korean People's Army, held the summit meeting and talks with Donald J. Trump, president of the United States of America, at Sentosa Island of Singapore on June 12, 2018 for the first time in the histories of the two countries. Singapore, the country of the epoch-making meeting much awaited by the whole world, was awash with thousands of domestic and foreign journalists and a large crowd of masses to see this day's moment which will remain long in history. Kim Jong Un made the meaningful words there was a past that gripped their ankles and prejudice and wrong practice covered their eyes and ears, but they overcame all that to come to this place and stand at a new starting point. There was a comprehensive and in-depth discussion over the issues of establishing new DPRK-U.S. relations and building a permanent and durable peace mechanism on the Korean peninsula at the talks. 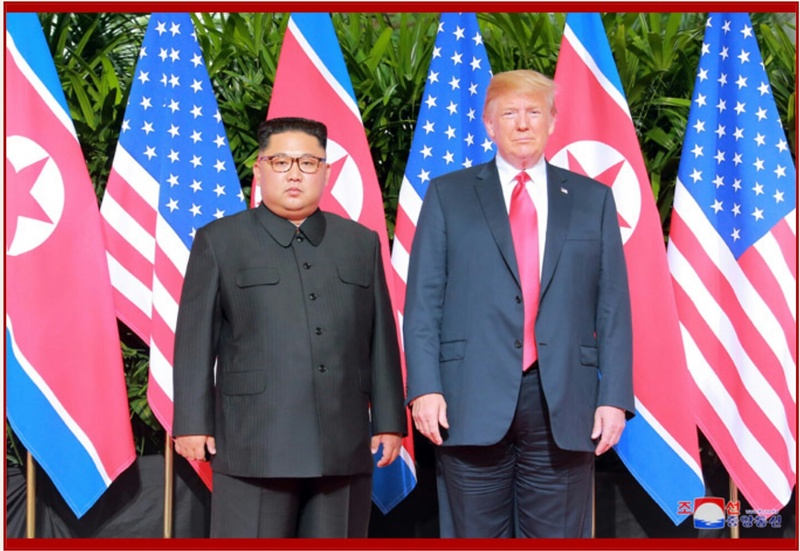 Noting that he is pleased to sit face-to-face with President Trump and the U.S. side's delegation, Chairman Kim Jong Un highly praised the president's will and enthusiasm to resolve matters in a realistic way through dialogue and negotiations, away from the hostility-woven past. Kim Jong Un made an immediate agreement on Trump's proposal for recovering the remains of American soldiers and repatriating those already identified and gave an instruction to take a measure for settling it as early as possible. 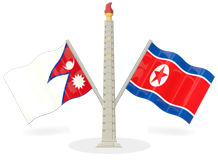 The two top leaders gladly accepted each other's invitation, convinced that it would serve as another important occasion for improved DPRK-U.S. relations.